Border&Fall is a fresh force in Indian craft and design. This Bangalore agency has initiated a number of programs to promote the handmade to a new generation of consumers and users. Their Incomplete Manifesto listed eleven statements of critical support for craft, such as “#5 Always question the claims of ‘organic’, ‘ethical’ and ‘sustainable’.” The recently crowd-funded How to Drape Film Series will promote this traditional dress by documenting 84 ways in which it can be worn. We talk to the founder of Border&Fall, Malika Kashyap. 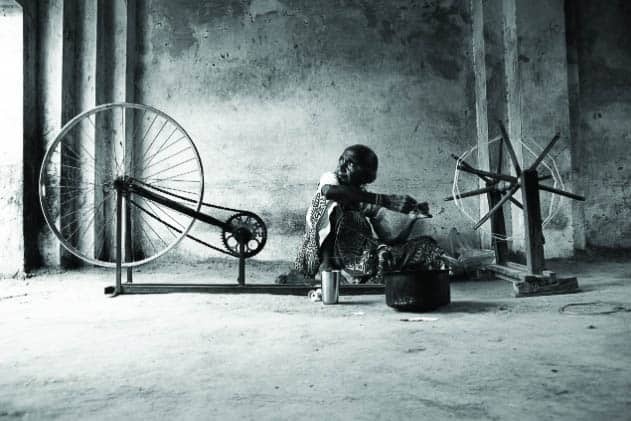 This project seems to be focused on changing perceptions about the sari. What sort of change do you think is useful at this time? Indeed this project is about changing perceptions of the sari among a wider population. I wish we had more statistics and quantifiable metrics to go by. Generalizations can be dangerous. It is important to remember that the sari is still worn by millions of women in India on a daily basis hence phrases like “the sari is dying” become subjective. All that being said, I think we need to change perceptions of the garment, as a garment. It is essentially a long uncut piece of cloth and most often the image we have of it is in one particular drape (the Nivi drape, worn with a blouse/petticoat, pleated in front and draped over the left shoulder). This image of the sari has been overwhelmingly projected across the media, on the streets of India and has become synonymous with the sari. In fact, most people think this is the only way to drape a sari. Last year we participated in a Sari Seminar at NYU with Rta Kapur Chishti, she had draped four regional styles on audience members—none of them Indian women. I’ll never forget a comment we received on Instagram from a young Indian girl saying “Insult to sari, seriously. Mockery”. It struck me as judgemental and stemming from the complete ignorance of other drapes. As we continued to have conversations and conduct informal surveys we found that most people know of less than ten drapes—when in fact there are over 100. Somewhere many of us seem to forget that this is a living and breathing garment—one borne from adaptation. It didn’t have a blouse or petticoat until a few hundred years ago. We seem to be stuck in one drape, unaware of others. This is the perception shift we are trying to address. I think this change is useful right now particularly because India’s identity seems to be changing. It is less connected to external validation. Identity and dress have always been connected, let’s see what transpires, it is too early to tell. What’s your approach to the selection of models who will perform the various folds? Our approach remains the same that it is for all content we create at Border&Fall: to transcend the expected by acknowledging the diversity and wealth that exists within our country. No doubt, ideals of beauty will be addressed, to create a project like this and subscribe to the “fair and lovely” trope would undermine the whole effort. We are also looking to cast a few cameos of women who love to wear the sari – but I can’t give everything away just yet! How will you select the saris themselves? 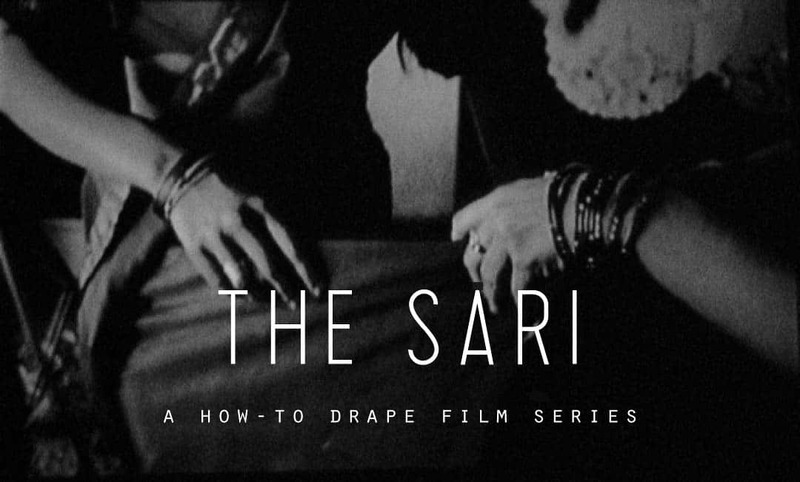 The saris we are selecting will complement the drapes as the heroes of the how-to films. In keeping with the perception shift required, I am of the mind that they not necessarily all be saris to begin with. After all, what makes a sari, a sari? As such, we will be showing a selection of saris from the craft community (often without attribution to the weaver’s name sadly), designers, heritage pieces and will also be peeking into many wardrobes for precious pieces stashed away. We are also currently involved in a spirited conversation within the team, discussing whether or not all saris need to be handloom. I am of the mind the current perception shift requires us to also embrace other forms of textile—let’s see what ends up happening. As a Kickstarter project, what kind of reasons do you think people may have to contribute? 25% of the 150,000USD funding required for this project was funded on Kickstarter, a largely North American focused platform. 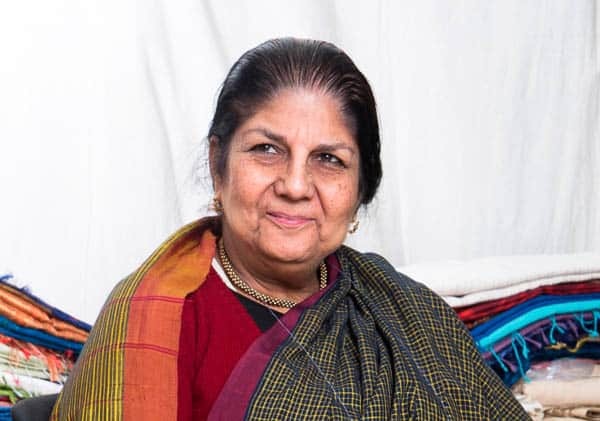 Nevertheless, we’ve had contributions from across the world and many people have cited an emotional connection to the sari, and a love for India, as reasons of contribution. Over the last many months, it’s become clearer to us that the sari holds precious heart and mind space, among men and women alike. When do you wear a sari yourself? And do you have a favourite drape? I wear saris quite often, mostly during the day for non-occasion specific reasons as it allows me to wear some of my favorite cotton saris from my grandmother. The drape I wear the most is a mash-up of sorts, derived from an Andhra style: I like to wear my saris short to the ankles and pleated at the back—it allows me to run around and get things done easily. I also like the fact that the drape is something I have adapted over the years to suit me. Our project intends to document all the drapes currently existing, but I hope it opens up a conversation for other explorations. Truly, it can be draped an infinite number of ways. 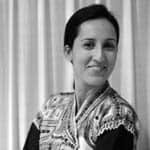 Malika Verma Kashyap is based in Bangalore/New Delhi and is the founder of Border&Fall, a multidisciplinary agency concerned with India’s evolving design sensibilities. The agency produces the craft and fashion focused publication, borderandfall.com and is also working on a series of short films documenting the various sari drapes of India.